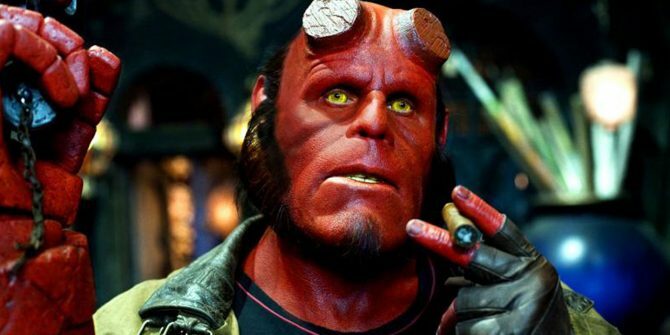 Hellboy Reboot Targeting Fall Start Date As David Harbour Hints At "More Of A Character Piece"
Just when you thought Mike Magnolia’s snarling demon had been banished into the fiery pits of development hell once and for all – despite one last-ditch campaign for Hellboy 3, Guillermo del Toro and Ron Perlman have now walked away from the cult supernatural series – David Harbour and director Neil Marshall have resurrected the title anti-hero for a new and seemingly darker adventure. Its name? Hellboy: Rise of the Blood Queen. Now teetering on the verge of pre-production – Harbour has shared pictures of him being fitted for the Right Hand of Doom, a fan-favorite weapon among Hellboy’s otherworldly arsenal – it’s understood that Marshall and his team are targeting a fall start date for Rise of the Blood Queen. At least, that’s according to David Harbour, who spoke in an extensive interview with TheWrap about Stranger Things season 2 and his hotly-anticipated dalliance with Mike Magnolia’s cigar-chomping hellspawn. 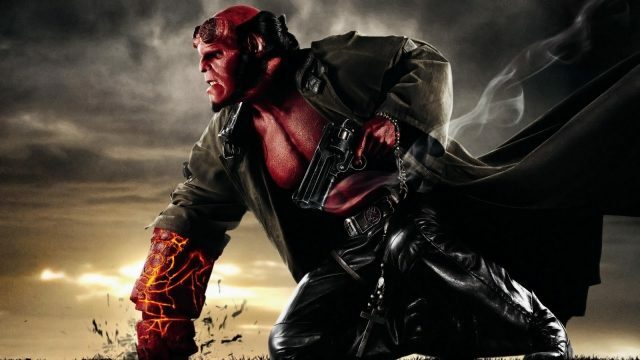 It’s shaping up to be a darker and more gruesome take on the famous character, and here, the towering actor likened Marshall’s revival to “a character piece” that places a laser focus on Hellboy’s demonic struggles. There’s also mention of the reboot’s start date (hint: it’s September). We’re supposed to go in September, I hope. It’s good. It’s a whole new thing. I’d always been a fan of the comics and there’s a darker tone to it and I think in the climate we have now there’s kind of a darker… a desire for more of that… the script is good and this guy Neil Marshall is directing who’s really good and the aesthetic is great. So often, the superhero movies can be really fun and I want this to be really fun, but I also want it to be more of a character piece and more about this dude’s struggle. I think it could be interesting. I don’t know, I just hope we make a good movie. We’ll see. You be the judge! Toeing the line between right and wrong – between good guy and bad – part and parcel of Hellboy’s charm is the fact that Magnolia’s creation adheres to his own moral compass at all times, and that inherent complexity presents Harbour with ample material to explore. I think he’s another complicated anti-hero who is not strictly good or bad, he’s just trying to do the right thing. I think he’s a demon, he’s crazy, and he’s also sweet and vulnerable and neurotic […] so there’s a lot of complexity there. Pitched as a darker and more gruesome take on the unruly hellspawn, Hellboy: Rise of the Blood Queen will likely be summoned in front of the cameras come September ahead of a theatrical release in 2018. Promo artwork for Neil Marshall’s long-rumored revival reared its gnarly head at Cannes Film Festival late last month, which tells us that Rise of the Blood Queen is further along than initially thought.